0 This year, the World Day for Safety and Health at Work (SafeDay) and the World Day Against Child Labour (WDACL) are coming together in a joint campaign to improve the safety and health of young workers and end child labour. There are 541 million young workers (15-24 years old) globally. They account for more than 15 per cent of the world’s labour force and suffer up to a 40 per cent higher rate of non-fatal occupational injuries than adult workers older than 25. They include 37 million 15-17 year olds in hazardous child labour. 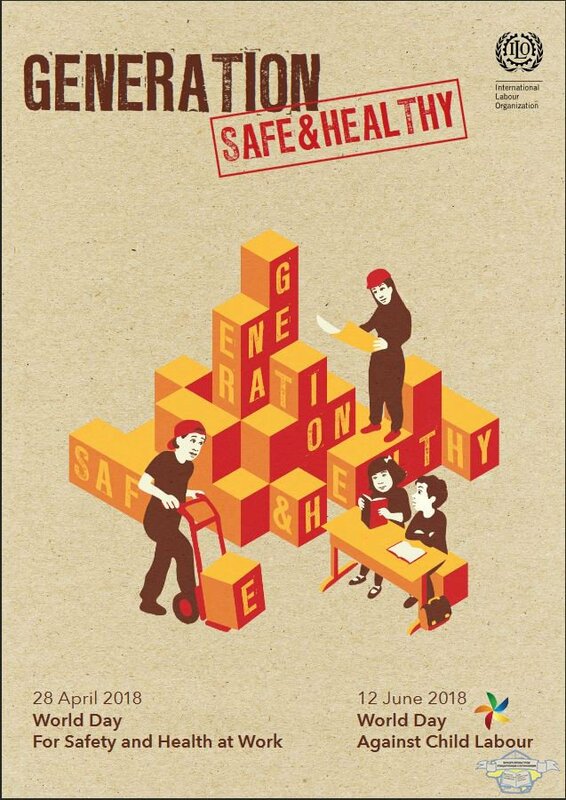 Many factors can increase youth vulnerability to OSH risks, such as their physical and psychological stage of development, lack of work experience and lack of training, limited awareness of work-related hazards and a lack of bargaining power that can lead young workers to accept dangerous tasks or jobs with poor working conditions. The 2018 SafeDay campaign highlights the critical importance of addressing these challenges and improving safety and health for young workers, not only to promote decent youth employment, but also to link these efforts to combat hazardous – and all other forms of - child labour.